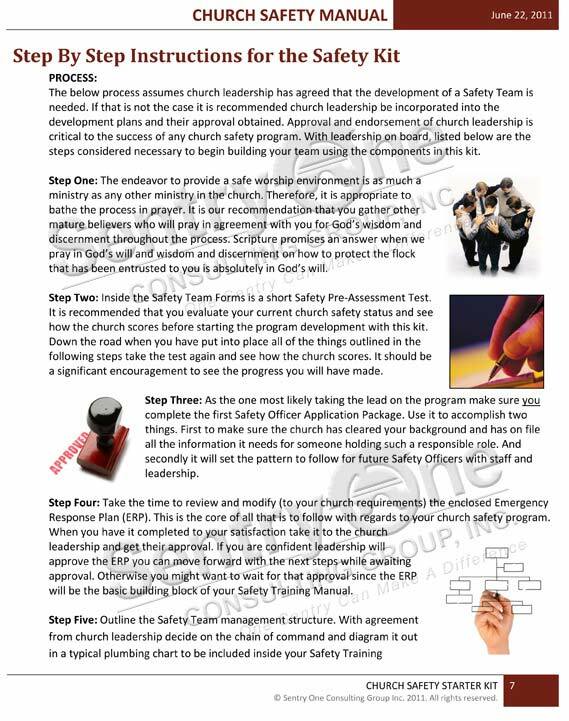 Church Safety Starter Kit | Sentry One Consulting Group, Inc.
One of the significant obstacles most churches face in developing a safety program is the many policies, procedures, and forms that are needed to facilitate the program. 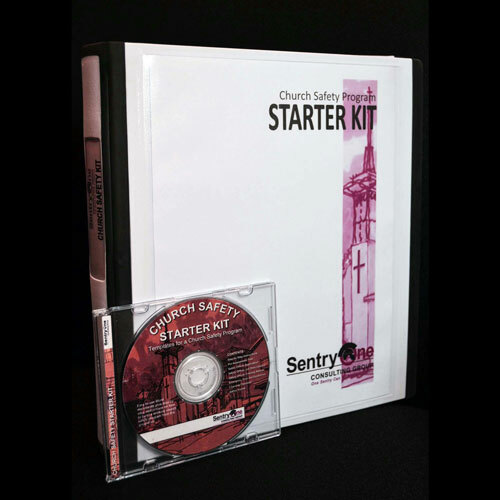 Sentry One has developed a safety program “starter kit” that helps to eliminate that obstacle. If you have a leader (or lay leader) who is willing to champion a safety program, this kit will get you started quickly and efficiently. 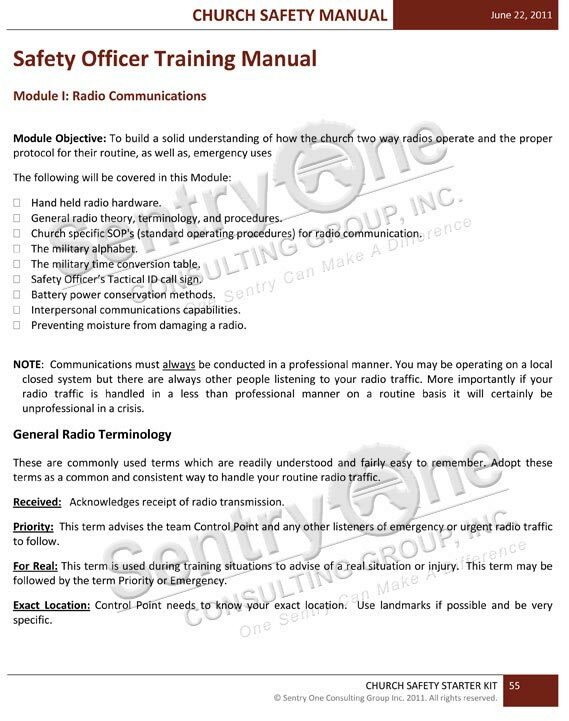 The safety kit is easy to use and designed to give you a step-by-step outline of what needs to be done. The kit comes complete with a binder containing hard copies of every document plus a CD containing all the forms, policies and training plans needed to start your safety program. 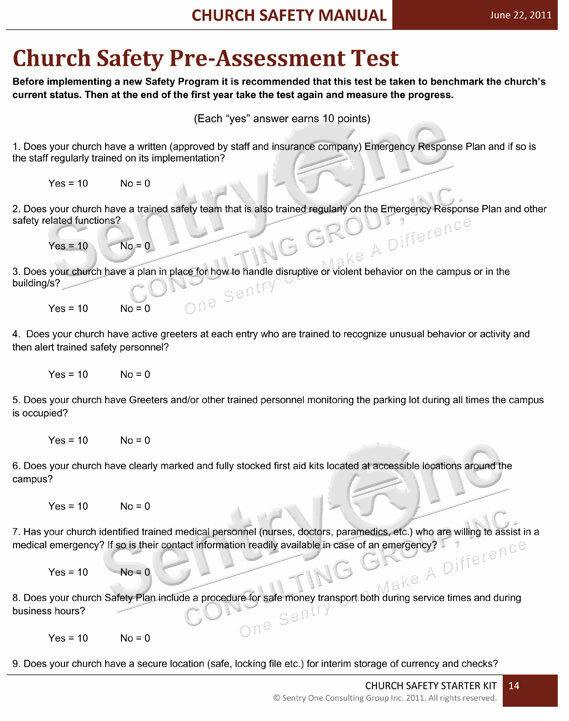 Each form is designed specifically for customization to your church (input your church name and modify wording to your local and state requirements). The following is a partial listing of what is included in the kit.